How Does A Canadian Hockey Coach Run An English Premier League Team? 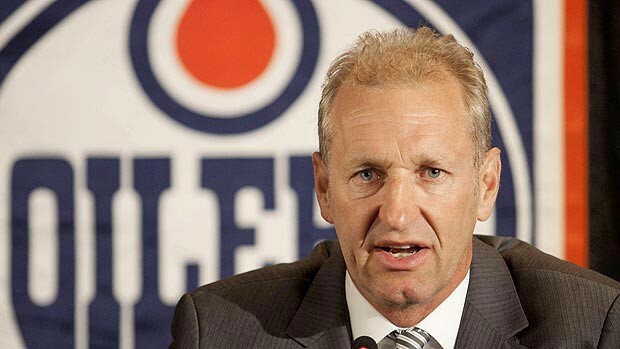 In 2014, Southampton Football Club owner Katharina Liebherr approached former Edmonton Oilers coach Ralph Krueger to join the club as Chairman. The Liebherr family had purchased Southampton five years earlier, and were familiar with Krueger’s exploits from his decades spent in European hockey. Still, many wondered how a lifelong hockey coach (albeit accomplished) with no soccer experience was going to run a multimillion dollar Premier League club. Krueger’s background makes him — in my mind — one of the most interesting men in the world. Born in Winnipeg, Canada, he would go on to play international hockey for West Germany, the country of his parents. After a healthy playing career, at age 30 he moved into the coaching ranks and led Austrian club VEU Feldkirch to five straight Austrian titles, and a European Cup. He then spent 11 years as the Swiss national team coach and guided them at three Olympic Games. After the Vancouver Olympics, Krueger’s career brought him back to North America, where he rose through the coaching ranks with the NHL’s Edmonton Oilers, eventually becoming Head Coach in 2012. Relieved of his duties after one lockout-shortened season, Ralph joined Hockey Canada’s coaching staff for their gold medal run at the Sochi Olympics. He’s written a book (in German); coached Team Europe at the World Cup of Hockey; and been an active member of the World Economic Forum, where he contributed on leadership. But none of that is the interesting part. While Krueger is now on the administrative side of a team in a completely different sport, he uses the lessons of his past to help guide his future. “After 20 years as a coach, I still walk into work every day and coach people. That’s something I’ll never let go of because it’s what gets the most out of people,” Ralph told me during a lengthy one-on-one interview. What I found stunning about Krueger was the consistency with which he delivered his messages about the teams he leads. Whether it’s an NHL team, a Premier League team, or a team of real estate agents, his messages seem universal. under Krueger’s watchful eye the club have begun to realize their potential — coming within minutes of winning a rare trophy — eventually losing the 2017 League Cup final 2–3 to Manchester United. The learnings that were taken away from that meeting have helped guide the cultural identity of Southampton Football Club. Their people all had input into The Southampton Way, which is published on the website for all to see. The club also developed a firm purpose, which echoes through everything from their transfer targets to their social media department. Southampton’s mission, in everything they do, is to turn potential into excellence. So — how does a lifelong hockey coach lead a soccer team? The same way he led a hockey team: with a commitment to people, and a coaching mindset. We can all learn from Ralph Krueger, regardless of the discipline we’re in.